Whenever September comes I always want new notebooks and planners, even though there is no “back to school” for grad students. Love this gold polka dot number from Kate Spade. Excited for dinner next week at Campagnolo featuring cocktails from the amazing people at Dillon’s Distillery. Try spiking this fizzy coffee with their Cherry Gin. You won’t be sorry. Haven’t seen any movie stars at TIFF, but we did see this ingeniously creepy movie about a boy scout troop camping. Thinking about what I will do after my PhD and trying to learn how to network. This article from Nature made me feel like I wasn’t alone. Currently obsessed with this song by Lana Del Rey. Also, this awesome video and song from Kiesza. Ever since eating the Basque cake from Bar Isabel, I’ve wanted to recreate it at home. Started at this recipe from the lovely Mimi Thorrison, but it was not the same. I think my new favourite drink is the Roman Holiday. 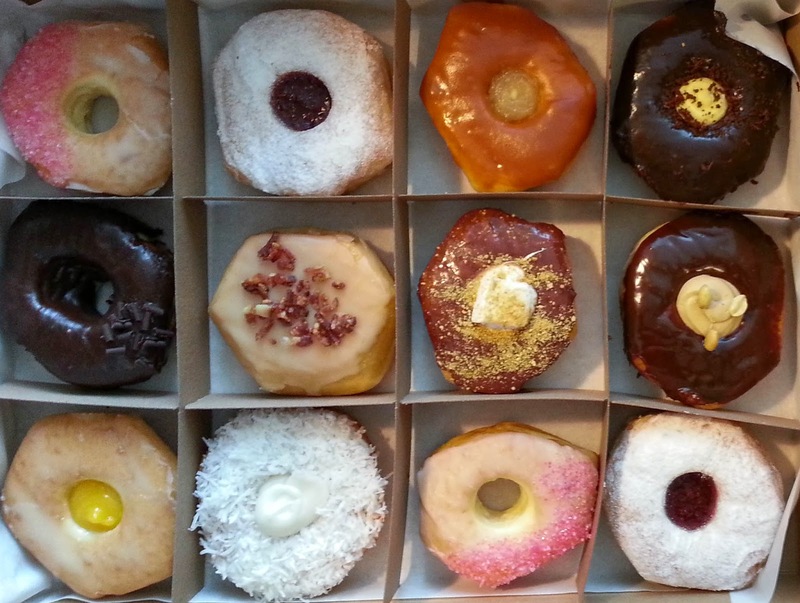 Stopped in at Jelly Modern again this week and accidentally came out with a dozen donuts. And that's the way the cookie crumbled this week. Have a great weekend! Cookie Crumbs is a blog post series where I write down all the random things I'm thinking about lately.